If you're a foodie, the new EatClub app is for you! The world first platform that lets restaurants offer any number of ‘last minute’ deals directly to customers and receive bookings in real time via an interactive map, EatClub is taking the world by storm. EatClub introduces the next generation in restaurant bookings by providing customers with the hottest insider live restaurant deals from some of the top eateries in the city. At the same time, the app puts the restauranteurs back in control by helping them to fill empty seats and increase their profits. It’s the brainchild of Co-Founders Matt Cantelo, Ben Tyler and Pan Koutlakis, who have also brought on board renowned celebrity chef Marco Pierre White, as both a founding shareholder and official brand ambassador. When a user opens the Eat Club Customer App, they are automatically shown nearby restaurants that have live deals on a map, or they can choose to see deals in a list. Users click on a restaurant and the restaurant information appears, along with the deals they’re offering. Then it’s a matter of ‘claiming’ your deal… before someone else does. Deals literally take two seconds to upload and last until close of business (or for a shorter time if the restaurant chooses). Once a customer claims a deal it disappears from the map – so it’s first in, best dressed! Gastrology were excited to be one of the first to try the app! We loved picking out an amazing deal at Franco Choos and enjoying a truly memorable night. 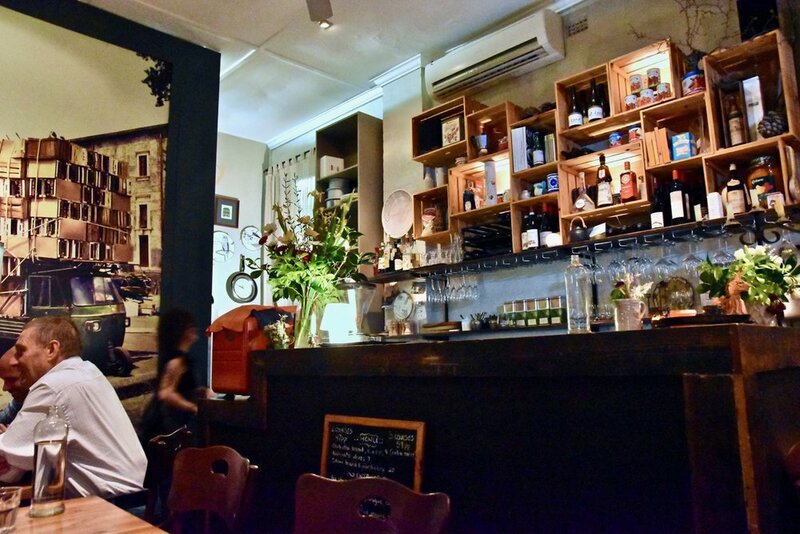 Located along bustling High St in the heart of Prahran's foodie precinct, Franco Choos proudly serves hearty Italian dishes grounded in tradition. The restaurant encapsulates the Italian style of dining, urging patrons to "Mangia! Mangia!" in an intimate gathering while cherishing a meal which honours classical Italian flavours and quality ingredients. The menu uses the finest ingredients – taking into account availability and seasonal variations as well as tempt regulars with something new and interesting. To start the ricotta gnocchi was an absolute must-have. Pillow soft homemade ricotta gnocchi was served with an indulgent broccoli cream. For mains, the roasted chicken involtini was delicious. The chicken was cooked to perfection allowing the rich flavour of the chicken to transpire. We loved the accompanying berlotti beans and the eggplant puree which provided the crowning element to this wonderful dish. The flat iron steak tagliata was similarly delicious. Displaying a mastery in the manner the steak were cooked, the inch thick cut of beef was cooked perfectly from end to end. A light searing ensured that the steak was lined with a thin crisp layer packed with caramelised beef flavour. Our visit concluded on a sweet note with coconut pannacotta and a dark chocolate torte. Both superb. Franco Choo combines friendly and affable staff, wonderful ambience and beautiful food to deliver a memorable experience.